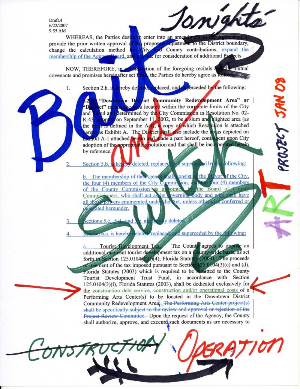 What about Bait and Switch? One of the big concerns that many urban Christians will have with mission, is the problem of the perception of being someone’s friend just so you can then Bible bash them: this is sometimes called ‘bait and switch’. Christians have a bad reputation for running events that just seem like a bit of fun, and then surprising everyone at the end with “well guys, we’ve been playing a fun game of footy today, and did you know that being a Jesus follower is a bit like playing footy, if you know the rules, then you can be free to kick the goals of life!” We must not see people as gullible ‘conversion targets’. If you have a congregation of people who are sensitive about authenticity, transparency and community, then you are less likely to succumb to ‘bait and switch’ tactics. Jesus did not minister this way. He had a strong sense of purpose, but He never had an agenda. He loved people where they were, and this is what drew them to Him, not being lured in on a pretext. Wouldn’t it be great if the Church were known for loving people without an ulterior motive, the way Jesus did? He related to people naturally, honestly, with tremendous love. And He wants to impart this love to us. In His last recorded prayer before his arrest, Jesus prayed, “Righteous Father, … I have made you known to them [the apostles], and will continue to make you known, in order that the love you have for me with may be in them, and that I myself may be in them” (John 17:25-26). We show that Christ is “in us” when we see nonbelievers as people, not as projects, and love them for themselves. Only through love without an agenda will we build a relationship that earns us an audience to share Christ. Let your mission be an outflow of your love for God. Don’t do mission as a religious person trying to get a conversion score, but as a person who is excited about your faith so much that you want to tell others. This enthusiasm is a fruit of the Holy Spirit working in our hearts. Let your mission be an outflow of your love for people. The life of the missionary disciple of Jesus, is a life of sacrificial love. It will be messy and difficult. That’s what we have been called to. Always be upfront about being a Christian or the church. That way people won’t get a surprise. ← Should Christians believe in Freedom of Speech? Great article Pete, articulates a lot of what has made me uncomfortable in the past. I think loving without agenda is the key – ironically, I’ve found that when I stop trying to subtly (not at all subtly probably!) turn conversations to faith, and instead focus on simply loving and listening to my friends, we have many more conversations about God – and much more honest ones too.